As a practice we are dedicated to research. This involves travelling around the world to discover new and different ways of designing. This year we have flown pretty much everywhere from LA to New York, Moscow and more. Our architects are always journeying to unique and beautiful places. We are delighted to share our findings and tips on the best architecture to see, food to eat and destinations to explore. BT: I started my trip in Queenstown on the South Island, visited Milford Sound and then drove up to Franz Josef Glacier via Lake Wanaka. We then flew to the North Island and spent a few days in the Waikato region before heading back to Auckland. 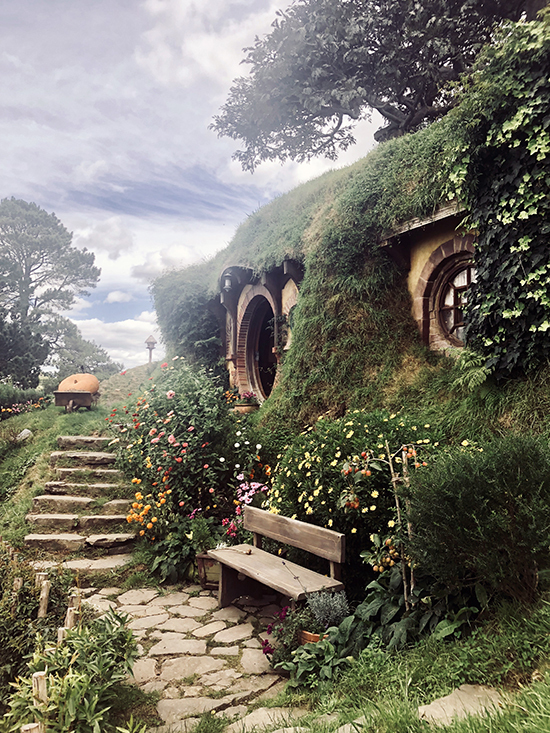 FOS: Pit stop in Hong Kong - Auckland – Waiheke – Coromandel Peninsula – Mahia Peninsula – Hamilton – Hobbiton (!) – Wellington – Picton – Marlborough – Kaikoura – Auckland. Mainly the North Island with a bit of wine and whale watching in the South. What impressed you most about the architecture? BT: I was struck by the stark contrast in the scales of buildings in central Auckland, where big skyscraper blocks sit directly adjacent to old colonial buildings that are only a few storeys tall. FOS: The celebration of their architectural history and culture. New Zealand is so diverse: the resurgence of Maori culture has meant design has moved on from its colonial past and there is increasing enthusiasm for architecture that responds harmoniously to NZ’s dramatic landscape and indigenous identity. What was your favourite building or design feature? BT: A lot of buildings in Auckland have deep overhanging canopies around the building perimeter, creating sheltered external space along the street. It may be a feature originally designed to respond to the local climate with high levels of rainfall, but from what I noticed these sheltered external spaces allow the uses and activities inside the buildings to extend out onto the street, creating a much richer pedestrian experience. FOS: Wharenui. Literally ‘big house’. These are the focal point of a Marae, the community centres of the Maori people. Exquisitely carved inside and out telling the stories of the Iwi’s, the tribe’s ancestors, they are specific to place and people. Very jaw dropping to visit. What would you recommend visiting while there? BT: Nature! 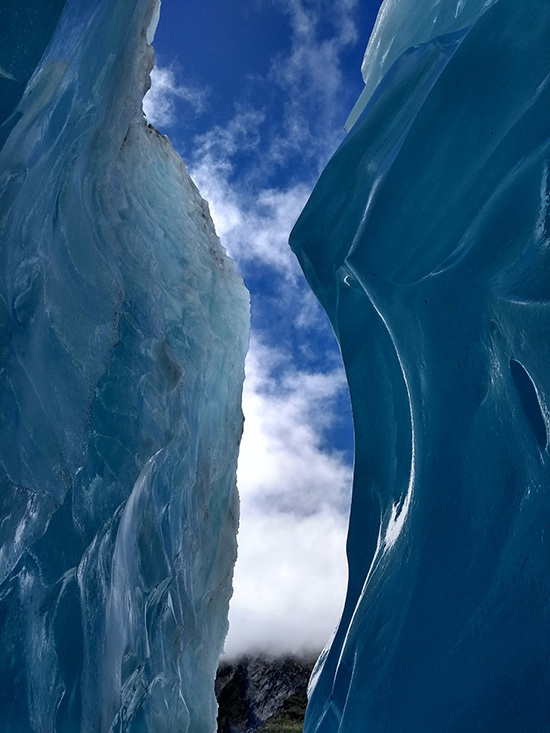 The terrain and colours of the landscapes are stunning, particularly the glaciers, fiords and lakes on the south island. 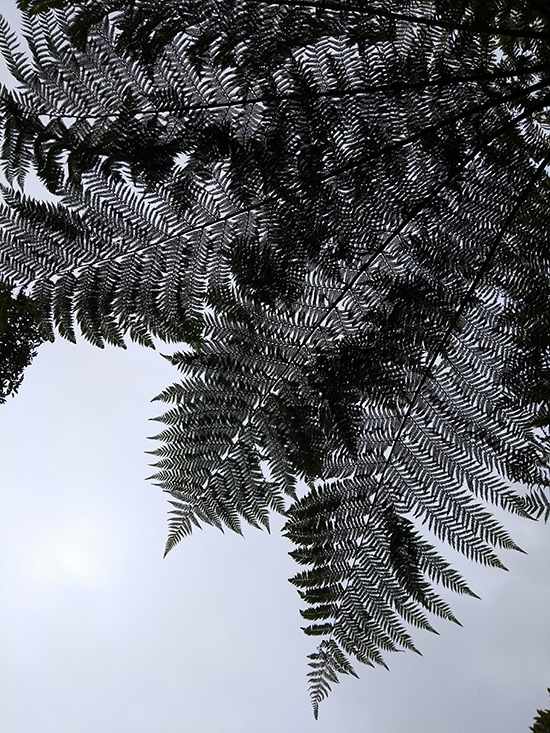 The local vegetation is also very distinctive with a huge variety of beautiful ferns. I felt as if I have entered Jurassic World whilst walking through one of the forests on south island! 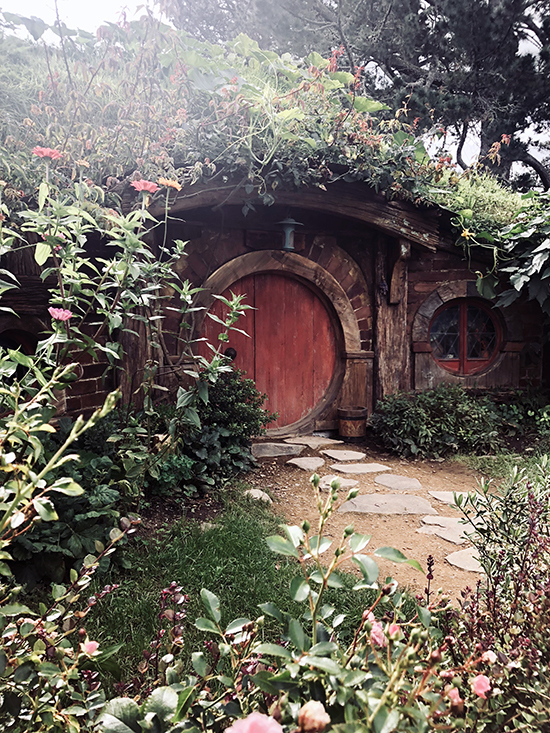 FOS: Hobbition – I mean, it’s an absolute must for any LOTR fan! It was everything I hoped and dreamed it would be! 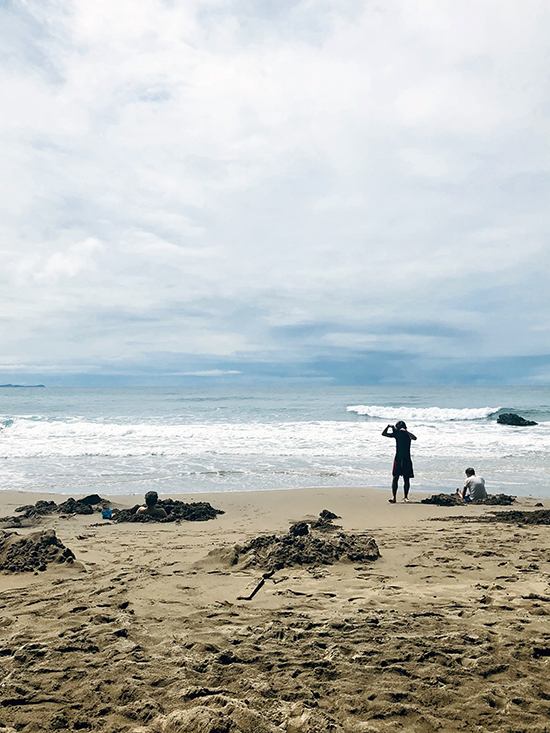 And for the less fantasy inclined – Hot Water Beach on the Coromandel – there’s a hot spring under the sand so you dig yourself a hole, it fills with hot water and voila, you have a beach bath! What was the food like? BT: Amazing - the local produce is very fresh so everything seems to taste better! We tried a local fruit called feijoas and it is very nice! FOS: Seafood in New Zealand is delicious and fresh and gorgeous. ‘Kaikoura Seafood BBQ’ is the best recommendation I could make; it’s a little hut on the beach in Kaikoura (literally meaning ‘meal of crayfish’) where they BBQ just caught, whole crayfish with a bit of rice. One of the simplest and yummiest meals I’ve ever had. They also serve Whitebait Fritters, a NZ delicacy and must-try. FYI – New Zealand is great for wine. Waiheke, an idyllic island a 40 minute ferry from Auckland, has some of the best vineyards in the country and a wine tour is one of the loveliest ways to while away the hours/days. 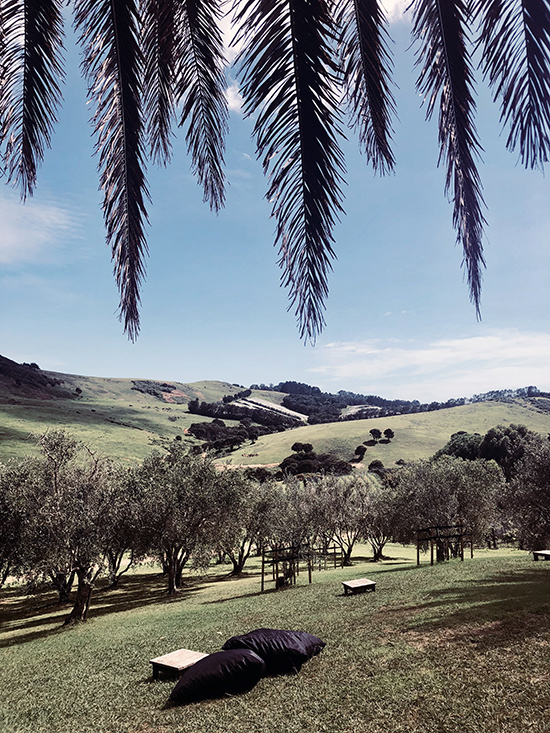 Marlborough is a famous wine region and brands you’ve bought in Tesco (other supermarkets are available) - Brancott Estate, Yealands, Villa Maria, Cloudy Bay - are all there and open to visit. What was particularly surprising about the customs or way of life? BT: A lot of families have a ‘bach’ – a small modest holiday home by the beach, where the family goes away for holidays in the warmer months every year. They are usually quite small structures that are fairly basic in construction, influenced by the backwoods cabins and sheds of the early settlers, though the contemporary ones are more luxurious. We stayed at a few during our trip and it’s been really fun! FOS: The pace of life is just slower there, you cannot help but relax. Oh, and they call flip-flops ‘jandals’, weird right?! And everyone wears them, all day every day, come rain or shine. How would you summarise your experience in a sentence? BT: Stunning natural scenery and amazing food – well worth the 27-hour flight! FOS: Breaktaking and relaxing, with fair slosh of wine thrown in.